We are back with more street food. You must have found that we have a little too strong weakness for street food. 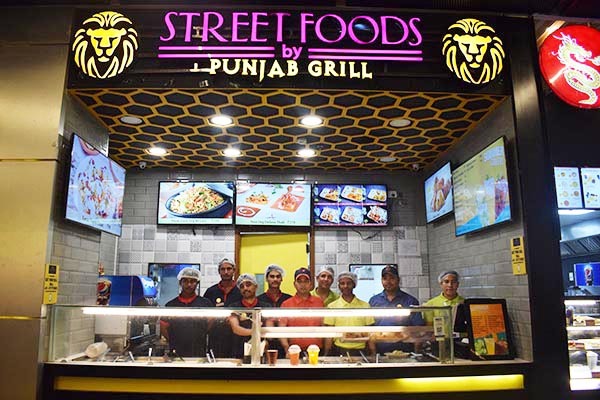 This time we couldn’t resist and tried some amazing Punjabi Street food – ‘Street Food by Punjab Grill’. We had to review some magnificent Indian street food. 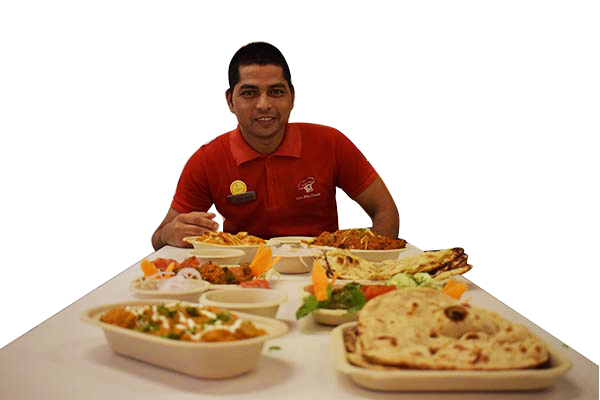 At Esplanade, we had an amazing assortment of delicacies straight from Punjab. This time we made it thematic. Thus, we picked food that we can pair with Indian flat breads i.e. Tandoori Roti and Garlic Naan. We started with starters, obviously! Indeed it was Hara and quite bhara (filling) hua. This Kebab was loaded with the goodness of spinach, peas and potato. Seasoned perfectly and breaking at touch, Hara Bhara Kebab was made just right and was delicious. It left a very smooth after-taste. Served with onion and vibrant mint chutney, on the whole the Kebab was healthy. Achari Chicken tikka was definitely a signature Punjabi starter. The aroma of strong pickling spices and the delicious achari oil on the chicken tikka made us drool on the sight of it! It is that dish which makes head turn (quite, literally!) Achari chicken tikka was so juicy, succulent and loaded with Indian pickle spices. One bite of this perfectly cooked chicken, you’ll fall in love again. Resting in a bed of tomato and creamy gravy, Kadai Paneer had a definite and tart taste. With firm paneer pieces covered with the mellow Kadai paneer gravy, the dish was light and delicious. With tender chicken pieces, served is the creamy, tangy tomato based kadai gravy jammed with spices, showered the love of Punjab for your taste buds. Being one of the easiest dishes to make, Street Food by Punjab Grills gave justice to it. Stuffed with spice of chillies and pepper, our mouth was watering water for more. Chunks of chicken marinated with tandoori masala and grilled to perfection was the zesty part of Butter Chicken. As the name suggests, it had butter and cream in it, and lots of it. Garnished with drizzle of cream over the tomato, with creamy gravy, Butter Chicken was absolutely a conversation starter. Accredited to be one of the best dal dishes in Indian Subcontinent, this is a must try Punjabi food. Cooked in ample amount of butter with love and presented with a generous amount of cream gave us the authentic Punjabi Dal Makhani, which is a must try in the outlet. Our verdict rules in favour of the starters and the Dal Makhani. These made our Punjabi Street Food venture a luscious success.